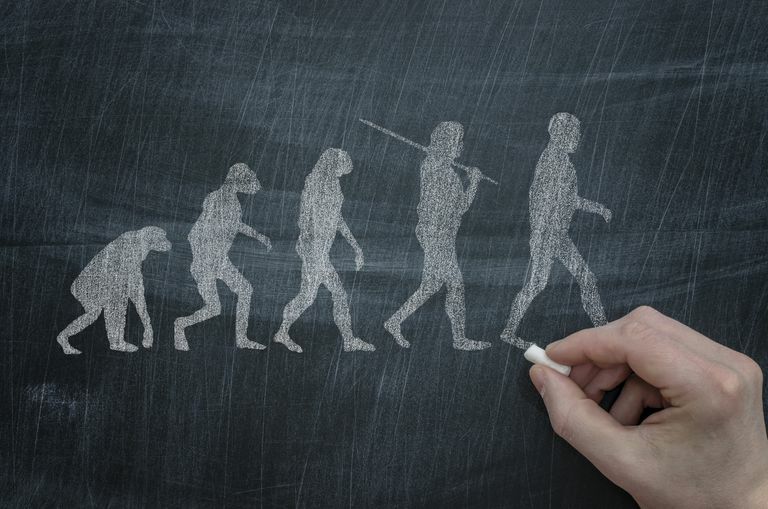 What's the Difference Between Microevolution and Macroevolution? There is one particular aspect of evolution that needs to be given specific attention: the somewhat artificial distinction between what is called “microevolution” and “macroevolution”, two terms often used by creationists in their attempts to critique evolution and evolutionary theory. Microevolution is used to refer to changes in the gene pool of a population over time which result in relatively small changes to the organisms in the population--changes which would not result in the newer organisms being considered as different species. Examples of such microevolutionary changes would include a change in a species’ coloring or size. Creationists often argue that they accept microevolution but not macroevolution--one common way to put it is to say that dogs may change to become bigger or smaller, but they never become cats. Therefore, microevolution may occur within the dog species, but macroevolution never will. There are a few problems with these terms, especially in the manner that creationists use them. The first is quite simply that when scientists do use the terms microevolution and macroevolution, they don’t use them in the same way as creationists. The terms were first used in 1927 by the Russian entomologist Iurii Filipchenko in his book on evolution Variabilität und Variation (Variability and Variation). However, they remain in relatively limited use today. You can find them in some texts, including biology texts, but in general, most biologists simply don’t pay attention to them. For biologists, there is no relevant difference between microevolution and macroevolution. Both happen in the same way and for the same reasons, so there is no real reason to differentiate them. When biologists do use different terms, it is simply for descriptive reasons. When creationists use the terms, however, it is for ontological reasons--this means that they are trying to describe two fundamentally different processes. The essence of what constitutes microevolution is, for creationists, different from the essence of what constitutes macroevolution. Creationists are under the impression if there is some magic line between microevolution and macroevolution, but no such line exists in science. Macroevolution is merely the result of a lot of microevolution over a long period of time. In other words, creationists are appropriating scientific terminology which has specific and limited meaning, but they are using it in a broader and incorrect manner. This is a serious but unsurprising error--creationists misuse scientific terminology on a regular basis. A second problem with the creationist use of the terms microevolution and macroevolution is the fact that the definition of what constitutes a species is not consistently defined. This can complicate the boundaries that creationists claim exist between microevolution and macroevolution. After all, if one is going to claim that microevolution can never become macroevolution, it would be necessary to specify where the boundary is which supposedly cannot be crossed. Simply put, evolution is the result of changes in genetic code. The genes encode the basic characteristics a life form will have, and there is no known mechanism that would prevent small changes (microevolution) from ultimately resulting in macroevolution. While genes can vary significantly between different life forms, the basic mechanisms of operation and change in all genes are the same. If you find a creationist arguing that microevolution can occur but macroevolution cannot, simply ask them what biological or logical barriers prevent the former from becoming the latter--and listen to the silence. Propaganda vs Persuasion: What's the Difference?